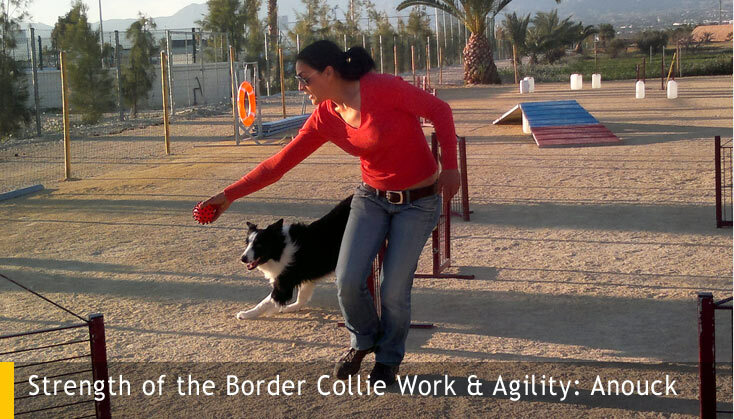 Work & Beauty Border Collie Kennels is a fully regulated dog breeder, registered as nº 18247 of the Real Sociedad Canina Española (RSCE) recognized by the International Canine Federation (FCI). 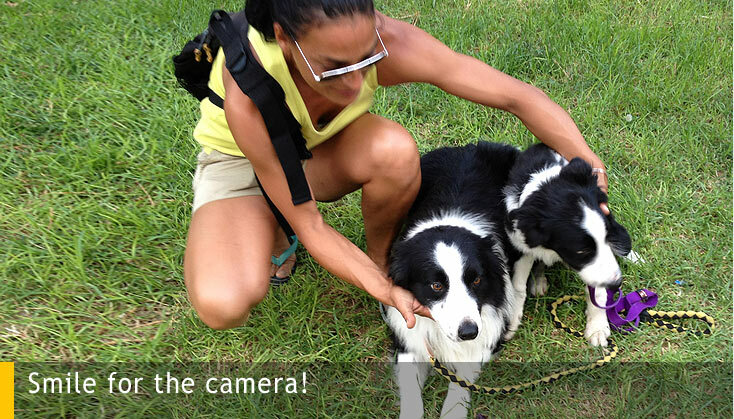 Our mission is to breed in a responsible way, protecting the base, the health and welfare of our Border Collie adults, and providing them with top quality food, veterinary care, and sports and activities necessary for the optimum maintenance and health of this active dog breed. 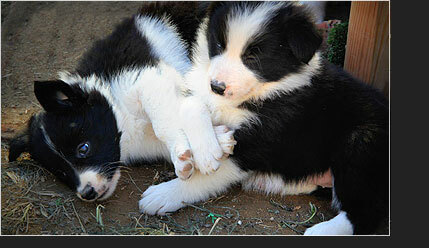 Our breeding is conducted in as natural and safe environment as possible, with proper socialization of the puppies with our 4 adult Border Collies and dedicated nurturing with the mother. This ensures they grow healthy and content ready for ownership after 2 months. 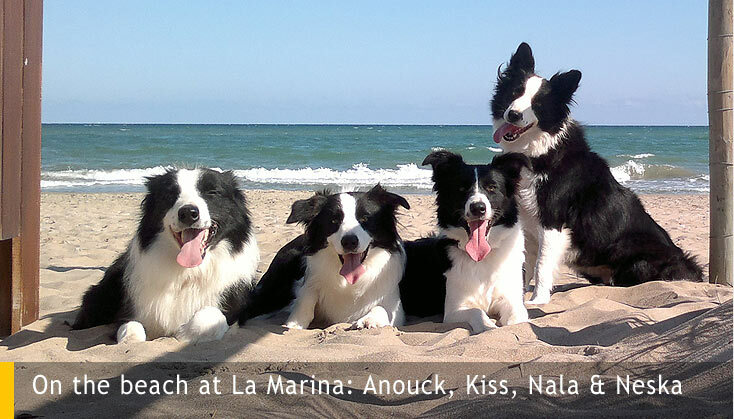 To ensure the optimal physical and psychological condition of our Border Collies, we practice the following activities:agility, rolling, mushing, free walks in the countryside, beach and the mountains. We attend and participate in dog shows in the Pastoral Groups at national and international level. 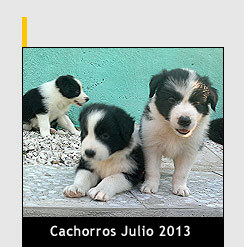 This is useful to measure and show our dogs alongside other exhibitors and (most important) breeders in Spain. 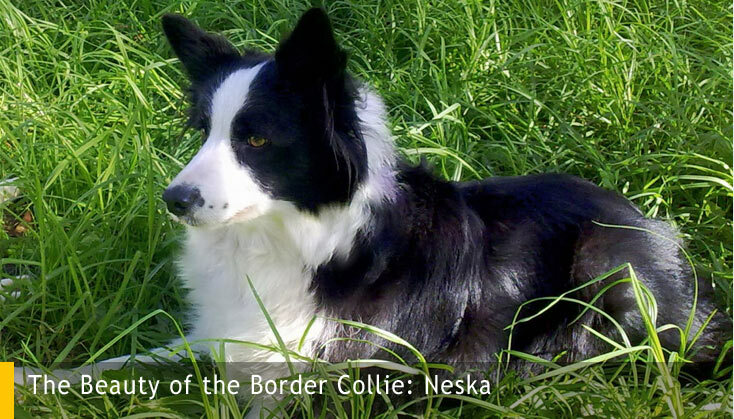 Our successes at these exhibitions is the result of our compliance with expected standard, purity and quality of a pure bred Border Collie. Our Kennel is located in the rural countryside near Elche and is surrounded by pine trees. 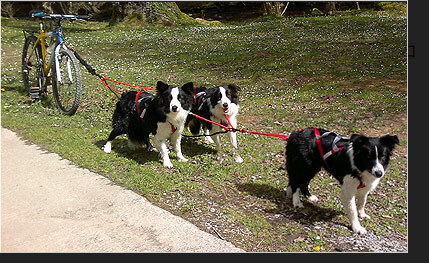 Here our dogs have space inside and outside of the Kennel to exercise and play frisbie etc. 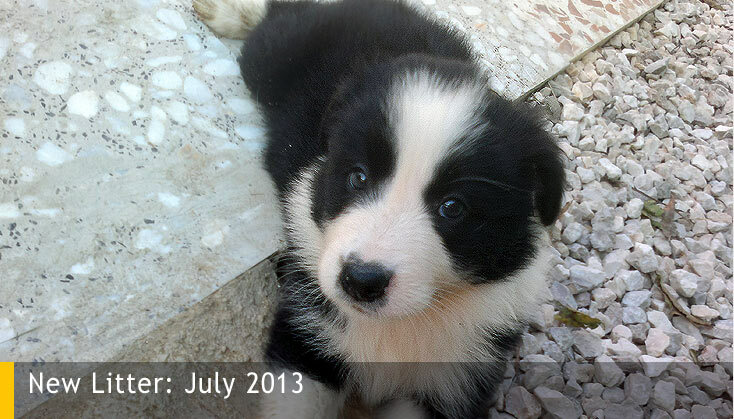 Our puppies "Work & Beauty", are born in our family home where they remain puppies with mother under my direct supervision during their first month of life. We oversee childbirth during the entire process, and when the puppies need more space to develop and strengthen, we move them to a larger area which again is safe and away from noise. We encourage races and games needed for socialization. This kennel has shady areas, small houses, obstacles and entertainment perfectly suited to developing physical and mental skills. They can also hear other things while inside the kennel such as family life, children, distant vehicles, bicycles, etc... all these from the security of their enclosure. These are useful to the puppies in developing tolerance for the outside world. 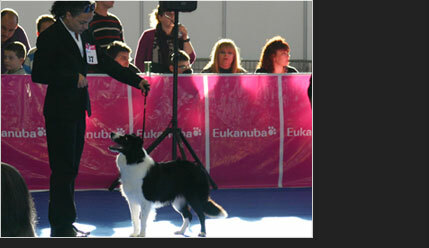 The international dog show in Alicante, being held in the enclosure Ferial de Alicante IFA, is one we attend regularly. We have been for consecutive years getting the top best of breed. Excelente 1ª, CAC,CACIB y Mejor de Raza. Excelente 1ª, CAC, CACIB y Mejor de Raza. 2011: “Kiss” Alegra: Excelente 2ª, RCAC y RCACIB. Excelente, CAC, CACIB y Mejor de Raza. Taking our dogs on holiday! 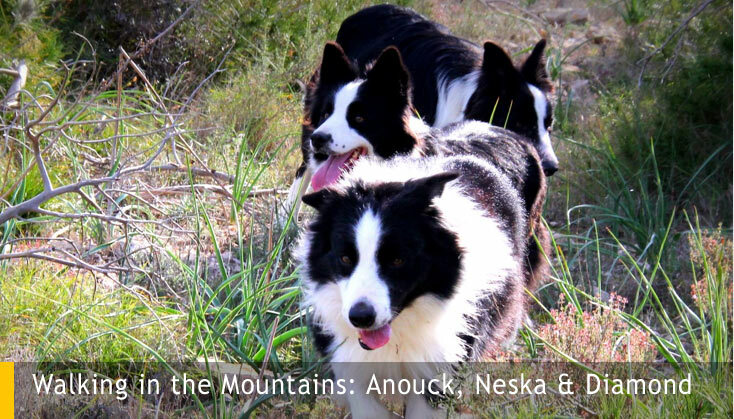 Walking over the mountains is a great way to enjoy your Border Collie. The origins of the breed come from the Borders between England and Scotland, and the mountain environment is in their DNA.